Recently, a seven-judge bench of the Supreme Court of Pakistan headed by proactive Chief Justice Mian Saqib Nisar brought the issue of the legal and constitutional status of Gilgit-Baltistan back to centrestage. It directed the Pakistan government to take a prompt decision on the recommendations made by a panel headed by Sartaj Aziz, former foreign minister, which reportedly were for granting provisional constitutional status to Gilgit-Baltistan and representation in parliament. Instead, the Court was informed a month later, on November 15, that another committee, consisting of top ministers and officials, had been set up to “carefully examine the constitutional, administrative and governance reforms for Gilgit-Baltistan”. 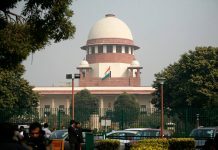 This seemed to annoy the chief justice who put the government on notice and said that should it fail to follow through on its stated intention, the Court would adjudicate on the matter. An unnamed “top judge” was quoted as having expressed concern that the formation of the committee meant “that the government wants to send the matter into cold storage”. For those who know little about this region, on March 26, 1935, the British government took Gilgit on a 60-year lease from Maharaja Hari Singh of J&K in view of its strategic location at the junction of China, Russia and South and Central Asia. After 12 years, as it began relinquishing power, it terminated the lease and restored the area to the Maharaja who made Brig Ghansara Singh governor in charge “of the entire Gilgit territory” on August 1, 1947. The Maharaja opted for accession to India on October 26, 1947. Gilgit thus became a part of India. So did Baltistan which was a constituent of Ladakh wazarat (district) at that time. In between, there were dramatic developments. Much to his chagrin, Governor Ghansara Singh faced a mutiny, plotted and executed by a British officer, Major William Brown of the Gilgit Scouts, in connivance with Pakistan. His troops imprisoned the governor and took control of Gilgit and Baltistan and Pakistan began exercising power in the region in November 1947. There was no popular involvement in the entire rebellion. Pakistan, however, describes Gilgit-Baltistan’s accession as voluntary and governs the territory directly. Though Pakistan knows that its accession theory is a myth, the reality is that it holds an area to which it has no claim. And that explains why it has not been able to define the region’s legal and constitutional status so far. It treats Gilgit-Baltistan as if it is part of the mainstream and yet has kept it out of it, depriving it of popular rule. It runs the territory through a series of executive orders, the last of which is the Gilgit-Baltistan Order 2018 which has been derisively called the “emperor’s order” as it vests the final authority in almost every matter in Pakistan’s prime minister. The orders have concerned, among other matters, changes in nomenclature—from Gilgit Agency to the Northern Areas to Gilgit-Baltistan. At the same time, violent attempts have been made to alter the region’s Shia-majority demography as, according to an editorial in The Express Tribune in April 2012, “the population began to be seen by General Zia’s regime as posing a potential threat… in 1999, it was on General Musharraf’s watch as army chief that Pakistan’s Kashmir policy increased the ranks of Islamic extremists…The Kargil conflict resulted in the influx of Sunni jihadi elements… Extremist organisations like Sipah Sahaba, Lashkar-e-Taiba, Jaish-e-Muhammad, Al-Ikhwan and Harkatul Mujahideen opened their offices there upsetting demographic balance”. 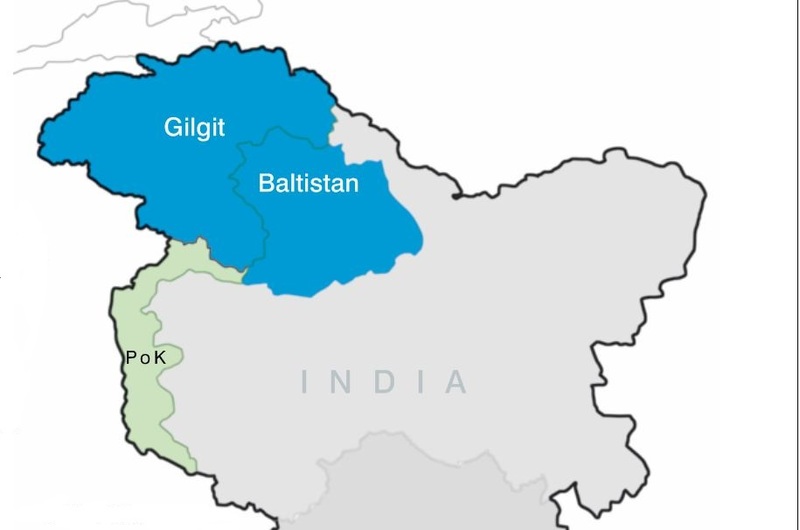 Pakistan does not call Gilgit-Baltistan “Azad” Kashmir, a nomenclature which it uses for another smaller part of J&K under its illegal control, Pakistan-occupied Kashmir (PoK). In PoK, it has allowed a semblance of democracy while wiping out all traces of secularism. It has brushed aside a March 8, 1993, ruling of the High Court of “Azad” Kashmir directing that “Azad” Kashmir be given administrative control of Gilgit-Baltistan (then called the Northern Areas) as it is a constituent of the same state. Gilgit-Baltistan (an area of 72,971 sq km) is five-and-a-half times bigger than “Azad” Kashmir (13,297 sq km) and has a low population density of about two million. “Azad” Kashmir, in comparison, has more than four million people. When this writer went there in 2004 as a member of the first-ever team and possibly the only by Indian journalists, he found the region stunningly picturesque. Five of 14 eight-thousanders (mountains more than 8,000 metres high), including K2, the second highest after Mt Everest, are there. It is also a bewitching meeting point of the Himalaya, Karakoram and Hindu Kush ranges. Importantly, the region has global strategic significance with the US’ enhanced interest in Pakistan’s adjoining tribal border belt and Afghanistan and China’s ambitious China-Pakistan Economic Corridor (CPEC) which passes through Gilgit. Way back on March 2, 1963, Pakistan and China had entered into a written agreement under which the latter was given a part of the land in Gilgit pending the settlement of “the Kashmir dispute between Pakistan and India”. Of late, China’s activities in the region have increased manifold after President Xi Jinping launched his controversial “One Belt One Road” initiative of which the CPEC is a constituent. China itself has kept silent on the issue as if it is not unduly worried. It has made light of India’s objections to its construction activities in PoK. Its public posture is that the CPEC would not affect its stand that India and Pakistan should resolve the Kashmir issue bilaterally through talks. Coming to the present issue, any inference that the Pakistan government and the judiciary are on a collision course over this issue may be misplaced. The dominating political, judicial and bureaucratic view in Pakistan is that Gilgit-Baltistan should be absorbed as a part of the country. A 1999 ruling of the apex court, for instance, said that people living in the region “are Pakistani citizens for all intent and purposes”. This is being widely quoted and the otherwise hopelessly divided three main political parties in Pakistan are united over this. The Pakistan Muslim League (Nawaz Sharif) had set up the panel headed by Aziz which recommended that Gilgit-Baltistan be granted provincial status pending the resolution of the Kashmir issue and given representation in parliament. A leading lawyer, Aitzaz Ahsan, who is a well-known Pakistan People’s Party leader, is acting as the amicus curiae in the case. He has advised the Court to grant time to the committee established by the Pakistan Tehreek-e-Insaf (PTI) government owing to the sensitivity of the matter. The PTI itself is cautious and the terms of reference of the committee say that it will “examine the status of GB in the light of UN resolutions on Kashmir and the stand taken by the Government of Pakistan at international level”. Top Pakistani strategic analyst Ayesha Siddiqa has said that the move could also signal Islamabad’s desire to end the Kashmir conflict by formally absorbing the territory it controls—and, by extension, recognising New Delhi’s claims to parts of the region it controls, such as the Kashmir Valley. “If we begin to absorb it, so can India. It legitimises their absorption of the Valley,” she said. Will Pakistan risk taking such a step after having extended “moral and diplomatic” support to Kashmiri separatists all along? Its own lobbyists in the Valley such as Syed Ali Shah Geelani and other secessionist leaders like Yasin Malik and Mirwaiz Umar Farooq have already stated in a joint statement that any proposal to declare Gilgit-Baltistan as the fifth province of Pakistan (the others are Punjab, Sindh, Balochistan and Khyber Pakhtunkhwa) would be unacceptable as it would be tantamount to changing the “disputed nature of Kashmir… Unless and until the people of the state are provided an opportunity to decide the future course of the state through referendum, no division, alteration and changes are acceptable”. Indeed, several options would be open for New Delhi as and when Islamabad alters the status of Gilgit-Baltistan.